^ Thorington, R. W., D. Pitassy, and S. Jansa. (2002). 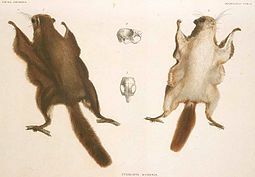 Phylogenies of flying squirrels (Pteromyinae). J. Mamm. Evol. 9:99-135. ^ Steppan, Scott J. 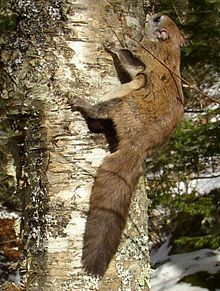 & Hamm, Shawn M. (2006): Tree of Life Web Project – Sciuridae (Squirrels). Version of 13 May 2006. Retrieved 10 December 2007. ^ Steppan, S. J.; Storz, B. L.; Hoffmann, R. S. (2004). "Nuclear DNA phylogeny of the squirrels (Mammalia: Rodentia) and the evolution of arboreality from c-myc and RAG1". Molecular Phylogenetics and Evolution 30 (3): 703–719.